Will we ever get another chance to save an 840-acre island in Long Island Sound? An island that’s a haven for wildlife, at the joining of two nationally significant estuaries, and part of a chain of islands so rich in ecological diversity that it has received numerous official recognitions from state, federal, and indigenous entities? 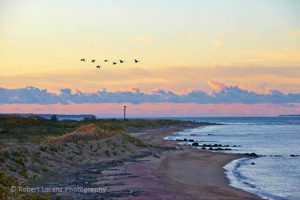 Sadly, because of a 2009 act of Congress, the federal government is putting Plum Island on the auction block. This is the only chance we will have to protect this critical place. Save the Sound has stepped up. We’ve mobilized citizens in three states, developed a coalition of nearly 100 varied organizations, filed a federal lawsuit to block the sale based on the Endangered Species Act and the National Environmental Policy Act, worked with your local elected officials to promote Plum’s preservation, and are in the midst of new efforts to ensure Congress takes action to conserve the island’s wildlands. We lead a mission to save Plum Island, and we need our secret campaign ingredient—YOU—now more than ever. Habitat for 220 bird species—nearly one out of four bird species found in North America! We lead the charge to save Plum Island at the local, state, and federal levels. We are fighting to make sure Plum Island remains a sanctuary for wildlife and becomes a place where people can enjoy fishing its waters and walking its beaches. Supporting bills introduced by Plum Island champions in Congress. You can, too. Sign a letter to your senators and congressman. Suing two federal agencies for their faulty environmental impact statement. Read about the lawsuit. Coordinating the Preserve Plum Island Coalition, made up of nearly 100 organizations! Learn more and join the coalition at preserveplumisland.org or contact Chris (CT) or Louise (NY) today. Supporting New York’s 2016 Open Space Conservation Plan. It says New York could acquire 600–700 acres of open space on Plum Island for “wildlife habitat, shoreline preservation and protection of significant cultural resources,” if the U.S. Fish and Wildlife Service does not create a wildlife refuge there. Thank Governor Cuomo for including Plum Island. 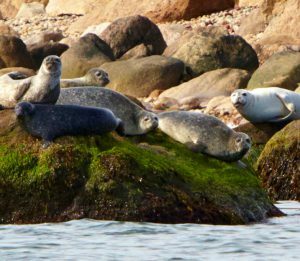 Support Save the Sound in protecting Plum Island—the home of endangered, threatened, rare, and globally significant animals and plants. Join us today.